Authorities in the United Arab Emirates say a member of the Russian State Duma who is a close relative of Chechen President Ramzan Kadyrov has emerged as the chief suspect in ordering the assassination of a former Chechen general in Dubai. Dubai’s police chief, Lieutenant General Dahi Khalfan bin Tamim, told a news conference on April 5 that he would put out an international arrest warrant through Interpol for Adam Delimkhanov, deputy chairman of the State Duma’s Federal and Regional Affairs Committee, in connection with the killing of Sulim Yamadayev last month. Yamadayev, who was shot in the head outside his Dubai apartment building on March 28, was the latest in a spate of Chechens killed after challenging Kadyrov. Tamim, the Dubai police chief, revealed new details in the slaying, saying the assassin ambushed Yamadayev outside his apartment in the city’s Jumeirah Beach district. After shooting Yamadayev in the head, the killer threw away the weapon near the crime scene. Tamim said the weapon was a gold-plated Russian-made Makarov pistol similar to those used by Delimkhanov’s bodyguards. Tamim said two suspects, an Iranian and a Tajik, were arrested shortly after Yamadayev’s killing. Four other suspects are still at large in Russia, he said. Russian prosecutors say Russian law forbids them from extraditing Delimkhanov, who also enjoys immunity from prosecution as a Duma deputy. Kadyrov’s father, Akhmed-haji Kadyrov, was killed by a bomb blast in May 2004 during ceremonies marking the anniversary of the end of World War II. Delimkhanov served in a series of posts under Kadyrov before joining the Duma. He headed a police force protecting oil facilities and served as deputy prime minister in charge of security services in the republic. In 2007 he was elected to the State Duma on the pro-Kremlin Unified Russia party list. Umar Israilov, another Chechen exile, in written statements filed with the European Court of Human Rights accused Delimkhanov of involvement in illegal detentions and torture in Chechnya. Israilov was assassinated in Vienna in January. 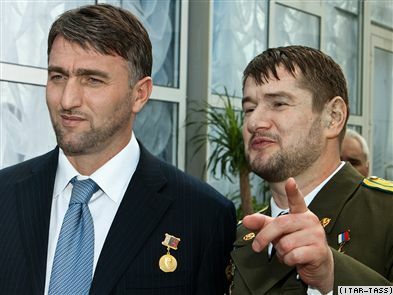 Another prominent Chechen, former Duma Deputy Ruslan Yamadayev — Sulim’s elder brother and a Kadyrov rival — was shot dead near the Kremlin in Moscow in September 2008. This entry was posted on April 6, 2009 at 20:56	and is filed under Dubai. 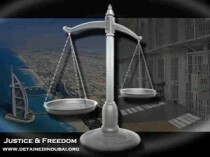 Tagged: Crime Dubai. You can follow any responses to this entry through the RSS 2.0 feed. Both comments and pings are currently closed.